Congratulations to the Winners of the Decorating Contest! Someone will contact you shortly to arrange for you to receive your prize. Christmas Party this Sunday (December 10th) at the Clubhouse! 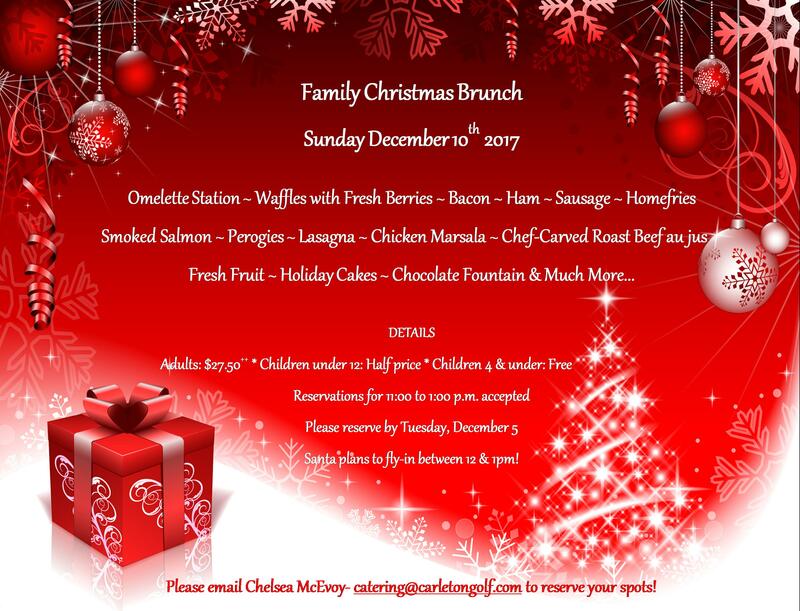 There is still time to reserve your spot for the Carleton Golf & Yacht Club’s Christmas Brunch! Email Chelsea McEvoy catering@carletongolf.com to reserve your spot. View the menu and pricing here. CGYHA Party begins at 1pm! Someone musical to lead a carol sing-a-long. Please contact the cgyha event coordinator, Amanda Maltby at amandamaltby@rogers.com if you’d like to help spread some Christmas cheer! Light up the night with your holiday lights for a chance to win a prize in our annual decorating contest. Good luck! Share some Holiday cheer with your friends and neighbours. Join in festive activities including a visit from the Big Man himself! Fun for all ages. Teens to help with the kids activities – it’s a fun and festive way to earn community service hours. 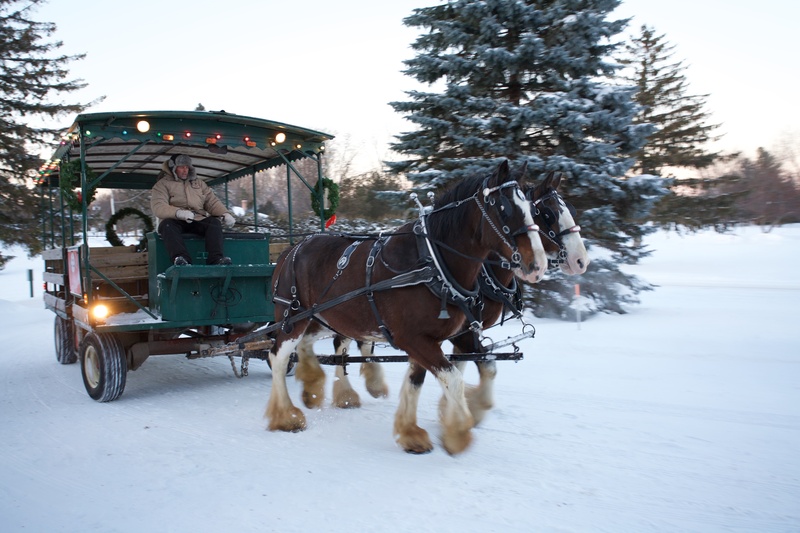 Enjoy the festive spirit in our community while riding on a horse-drawn trolley from Hollybrooke Farms. 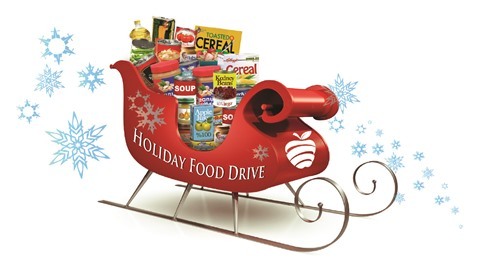 Please support the Ottawa Food Bank by bringing your cash or non-perishable food donations. 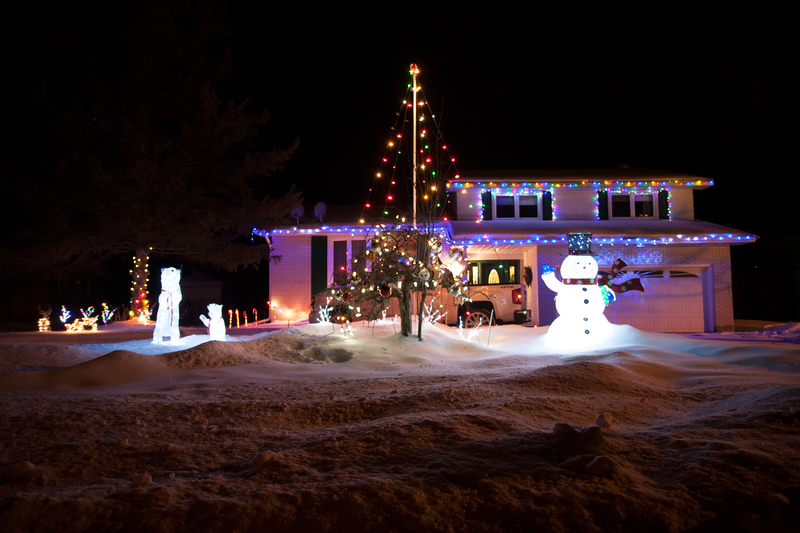 There was lots of holiday spirit alight in the neighbourhood for our Annual Holiday Decorating Contest. 1st Place – 6598 Marina Dr – Barb Munshaw and Francesco Simonaitis for their unconventional colour theme and vertical feature. 2nd Place – 6563 Lewis Way – Joe and Shannon Giammaria. Thank you to everyone who put such a great amount of time and effort into making their house look merry and bright! Special thanks to our guest judge, Darlene Mercer! 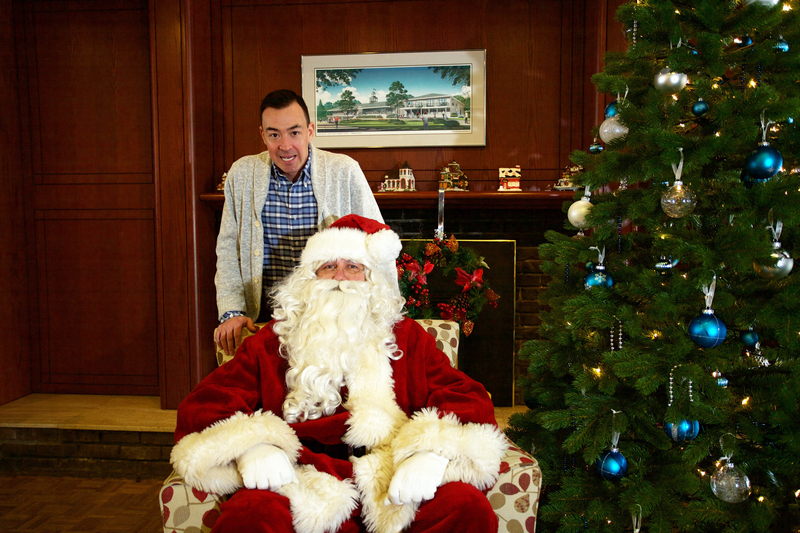 We had a great turnout at our Santa Party at the CG&Y Clubhouse, including a visit from the Jolly Old Elf himself! Kids enjoyed making marshmallow snowmen, colouring pages and face painting. Everyone shared some holiday cheer with snacks and refreshments. Two of our students focused on the importance of giving by selling their handmade Christmas crafts and greeting cards and raising $50 for Welcome Box. 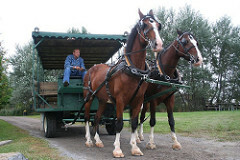 The party was followed by horse-drawn trolley rides through a circuit in the neighbourhood. 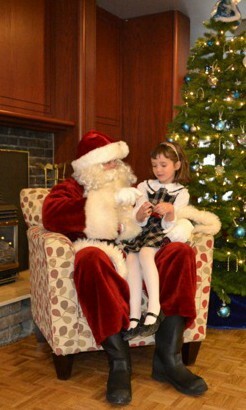 The entire event felt a lot like Christmas despite the warmer temperatures and lack of snow. Thanks to the staff at Carleton Golf & Yacht, The Scharfs and their horse team, St. Nick, our helpers – Grace and Piper and our Events Director, Denae Moores, who put on such a wonderful event. This entry was posted in CGYHA Events, Christmas, Uncategorized and tagged Christmas, news.